I LOVE this look! Hair, outfit, everything! I wasn't very happy with my last pic from Candlewood, so I returned (where I ran into Liv!) and took this. And processed the hell out of it. The disconnect between what I imagine I want my pic to look like, and what actually proves possible, is sometimes enormous. Absolutely lovely picture, Liv! The framing and shadow are perfect! It's a really beautiful sim -- and I've explored maybe a 10th of it. I'll be definitely returning. Great photo Scylla!!! I love this! Well..I turned into a doll. Where'd you get the jacket? I've been wanting something like that for absolute ages! In the fictional universe of Star Trek, it is established that Humans and Vulcans made First Contact on April 5th, 2063--in Bozeman, Montana, USA. I only found out about this as a kid, reading astronomy books and drawing spaceships, and accidentally coming across the film titled "Star Trek: First Contact" while trying to find something for background noise. So today is mostly known amongst fans as "First Contact Day". Coincidentally, April 5th is also my birthday IRL. Live long and prosper. So today is mostly known amongst fans as "First Contact Day". Coincidently, April 5th is also my birthday IRL. Live long and prosper. Coincidently, April 5th is also my birthday IRL. Live long and prosper. Yay, break out the sweet-mead! Love the pic, and I hope you have a wonderful birthday! So, last night was kind of historic. 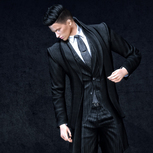 For the first time (that I can think of, anyway) in Second Life, I consciously and deliberately purchased clothing in . . . pink. At least, I think it was conscious and deliberate. I was on my second(?) glass of red at that point, and I'm a little foggy on details. Anyway, to mark the Historic Occasion (and, of course, First Contact Day, cuz this was my first contact with pink clothing), here it is. Also, my new and reasonably cute hair from YumYum (their FLF special). Wine induced purchases are the best! Pink looks great on you, as does the hair. I passed the hair up earlier without demoing, but seeing how it looks on you I have changed my mind!